We have seen this before and we will likely see this again. 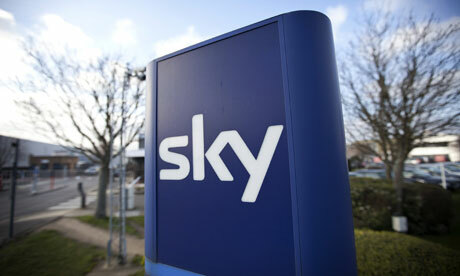 Some Sky Broadband subscribers suspected of illegally downloading movies could have their personal details handed over to what is know as a “copyright troll”. The service provider is obliged to turn over the names and addresses of the requested broadband customers to The Company You Keep (TCYK,) this action follow the loss of a long running court battle last year. TCYK will then request compensation from the suspected torrent user by way of an IP address Sky attributed to the customer over the period suspected. TCYK are pushing to settle the case out of court under the threat of implied legal action,. The company monitors file-sharing websites for illegal activity and has internet service providers release details about the accounts holders suspected of infringing the copyright law. Sky is unable to vouch for the validity of TCYK’s claims, however they are advising customers to closely examine the wording of any letters they receive before parting with cash, and consult the overly burdened Citizens Advice Bureau if they have any additional concerns. If you have received a letter from your internet service provider regarding a lawsuit by TCYK, LLC. or you have been named as a defendant, you should contact an independent copyright attorney that can assist you in the case. Moving forward we have looked at a couple of Virtual Pirvate Networks over the years and whilst they are never 100% they can keep you a little safer when browsing. There is currently a deal running on VPN Unlimited who are offering their Lifetime Subscription for $39, or a 3 year subscription package for $19. A small price to pay for a little piece of mind.